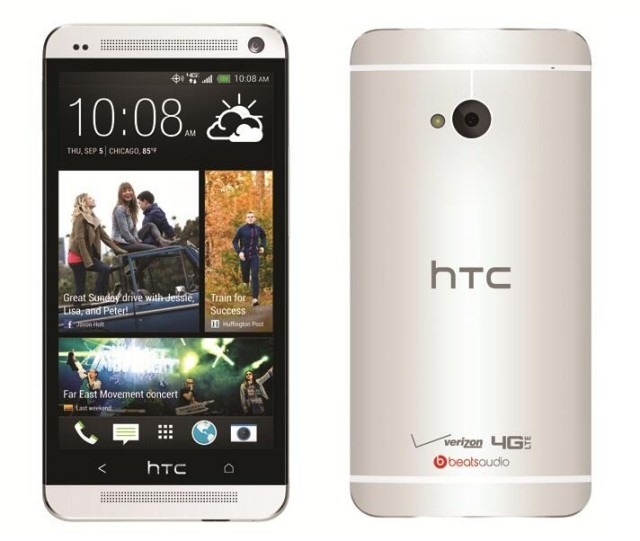 Verizon may have been last out of the gate with the HTC One, but at least it's getting some update love. The One is getting its first OTA update on Big Red with a few notable improvements. You can start mashing the update button, if you like. The new firmware, with version number 1.10.605.10, should make lock-ups less common while using the device. It's always a nice thing when your device doesn't freeze, right? 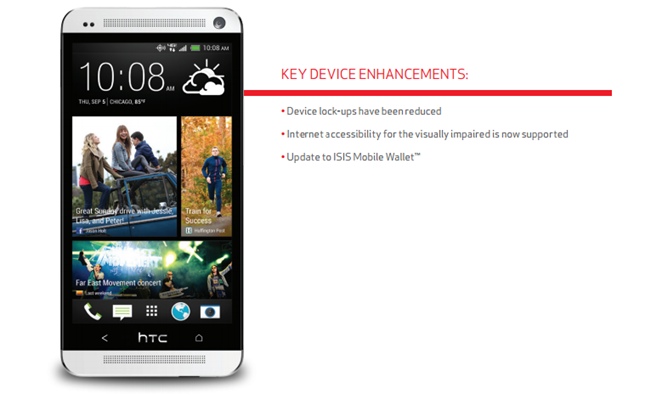 There is also a new internet accessibility mode for the visually impaired. Verizon's chosen NFC payment platform ISIS Mobile Wallet is getting an update in this software as well, but Verizon isn't saying what that changes. Unless the update can make retailers accept it, it probably won't matter to you. The update should arrive on all devices in the coming days. The manual update option may or may not work, but I'm betting on the latter.